Lastly Akai was remade. 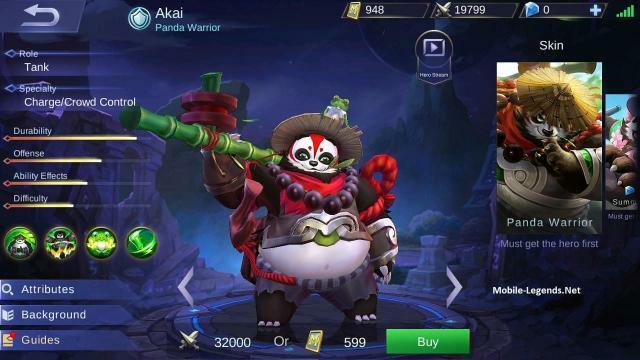 Now Akai is New Hero! 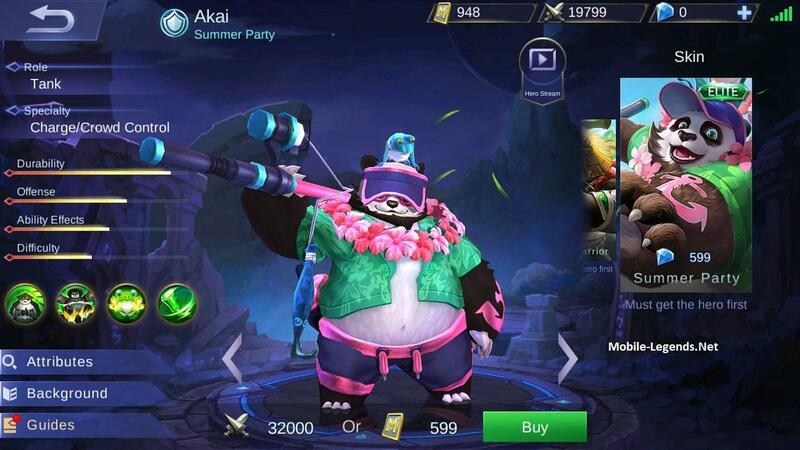 The Panda Warrior and Summer Party Akai. Still his role Tank and his Specialty Charge – Crowd Control. 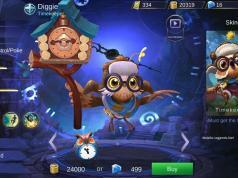 Passive: Tai Chi, Everytime a spell is cast, Akai will receive a shield that on top of his maximum health that blocks 8% of damage taken, lasting 2 seconds, can only take effect every 2.5 seconds. Skill 1: Thousand Pounder, Jump into the target area, dealing 300 physical damage to enemies after landing, targets within the marked area will also be stunned for 1 second. Skill 2: Blender, Fires a frog shaped shock wave at the enemy, shock wave will explode on contact with the enemy or once it reaches maxim range, dealing 350 points of physical damage, marking enemies for 5 seconds; basic attacks on marked targets will an extra 5% of Akai’s maximum health as physical damage. Ulti: Hurricane Dance, Spins like a tornado for 3.5 seconds and starts hitting targets. Each collision will knock back the target and deal 180 magic damage. During this process, the hero is immune to slow down effects, and casting this ability will remove any negative effects from the hero. Movement speed will be increased by 30 points for the duration of the skill. Everyone has a dream, so does a clumsy panda! In an eastern village far away, there lives a group of pandas most of which enjoy a simple and happy life. However, a round panda called Akai made an unusual resolution to become a battle master! His parents tried to talk down his strange daydream, and his friend taunted him about his clumsy and round physique. Yet he never compromised and still trained himself hardly every day, eager to be stronger. One day, his persistence moved a mystic monk who just wandered to here. Under the monk’s guide, Akai learned to use a chain hammer as his weapon which was extremely hard to control. 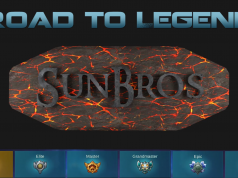 He has been dreaming about starting an epic competition with other battle masters on the same stage in the Land of Drawn, and now here he goes with his most brilliant appearance.